Are you a seasoned cruiser, eager to find new, immersive ways to explore our fascinating world? If you answered yes, then our EXC In-Depth Voyages were designed specifically with you in mind. These specially crafted itineraries offer an innovative and customized approach to cruising, allowing guests to explore the most fascinating corners of the globe through the prism of their own personal interests and passions. Looking to see as much of The Last Frontier as possible on one exploration? Try our 21-Day Ultimate Alaska & Pacific Northwest Adventurer EXC In-Depth Voyage — the most comprehensive Alaska exploration in one sailing! 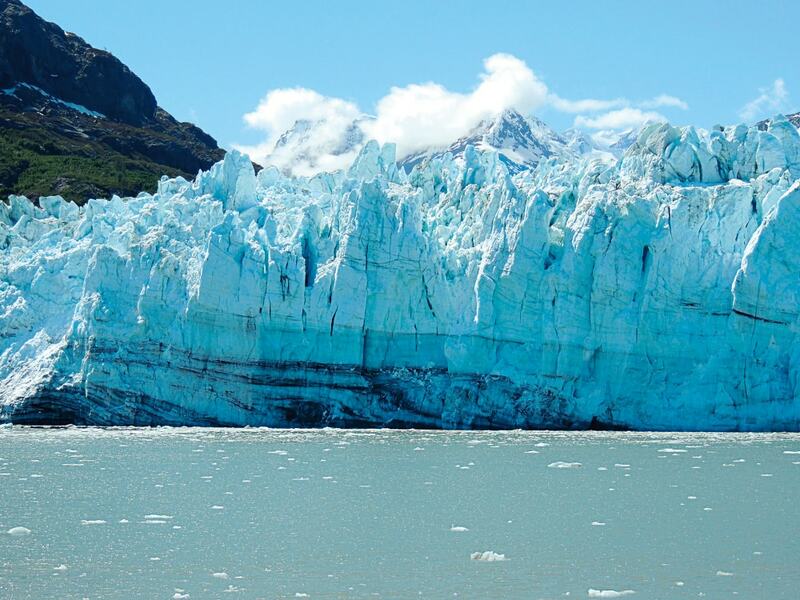 Experience the best of The Great Land, including the breathtaking scenery and fascinating wildlife of Prince William Sound, Tracy Arm and Hubbard Glacier. Conveniently sailing roundtrip from San Francisco, Maasdam will spend two days at sea before arriving at Ketchikan, Alaska. Long known as an important hub of the salmon fishing and packing industries — guests can try their luck on a sportfishing excursion or simply savor the fresh, delectable seafood at one of the local restaurants. 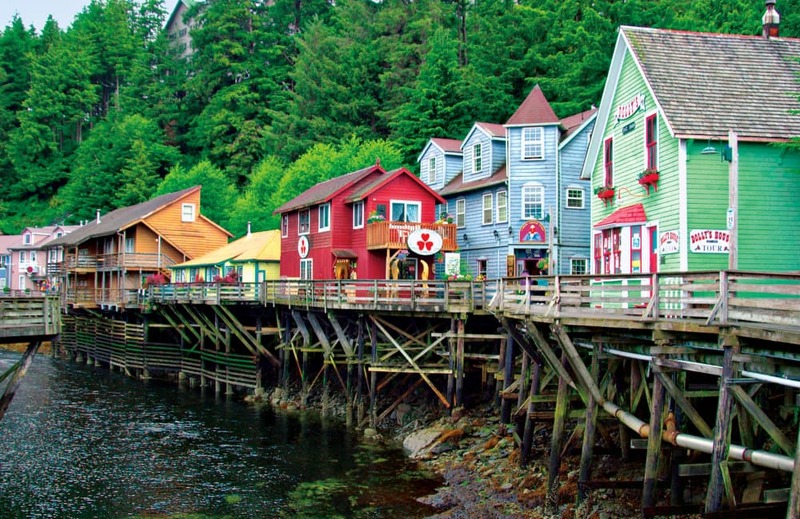 It’s also one of the best spots along the Inside Passage to explore the rich cultural sights of Native Alaskan nations like the Tlingit, Haida and Tsimshian. After departing Ketchikan, the ship will spend the next day at Sitka where guests will witness vestiges of Russia’s past influence, including the unmistakable onion dome of St. Michael’s Cathedral and the Russian Bishop’s House — both National Historic Landmarks. Stop by the visitor center of the Sitka National Historical Park to peruse its interesting collections of Russian and Native Alaskan artifacts, and then join a ranger-led tour of the battlefield where Russia defeated the native Tlingit people. The following day, Maasdam guests will enjoy scenic cruising around North America’s longest tidewater glacier, Hubbard Glacier. Make sure your cameras are ready, as all along they way will be scenery you won’t want to miss! On day seven, guests will enjoy more scenic cruising through beautiful Prince William Sound — boasting countless fjords and spectacular views of nearby mountains and glaciers — before arriving at Valdez, Alaska. Valdez is a paradise for fishing enthusiasts offering every kind of salmon, huge halibut and ample opportunity to reel them in. Rivers and streams spill into the Sound here, which also makes it the ideal location for a kayaking tour! Maasdam spends the next day cruising College Fjord — the only place in Alaska that surrounds you on three sides with glaciers! As you travel into the Fjord, the glaciers on the left are named for women’s colleges and those on the right are named for men’s colleges. The following day, the ship will go on to visit Homer, Alaska — Halibut Fishing Capital of the World. Guests can opt for a fishing tour or visit top attractions like the Pratt Museum, the Alaska Islands and Ocean Visitor Center or enjoy hikes at Grewingk Glacier Lake. 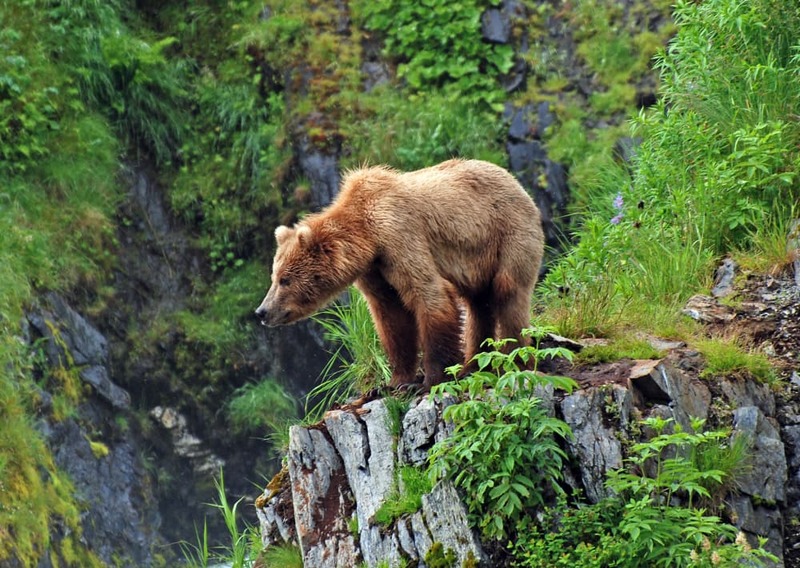 On day 10, guests will visit Kodiak, Alaska, where nearly 3,500 bears named for the archipelago reside, thus making a spotting likely! Guests can enjoy visits to top sites like the Baranov Museum, the Holy Resurrection Russian Orthodox Church and the Kodiak National Wildlife Refuge, or take part in a guided shore excursion like our Fort Abercrombie State Park Nature Hike. Maasdam will spend another day at sea before arriving at the adventure capital of Alaska — Haines. Here, guests will have their pick of activities ranging from rafting and hiking, to salmon-, halibut- and trout-fishing in the Chilkat River, or kayaking on Chilkoot Lake. The ship will spend the next day cruising past the steep cliffs and glacier-covered mountains of Tracy Arm Fjord, as it makes its way to Juneau, Alaska. 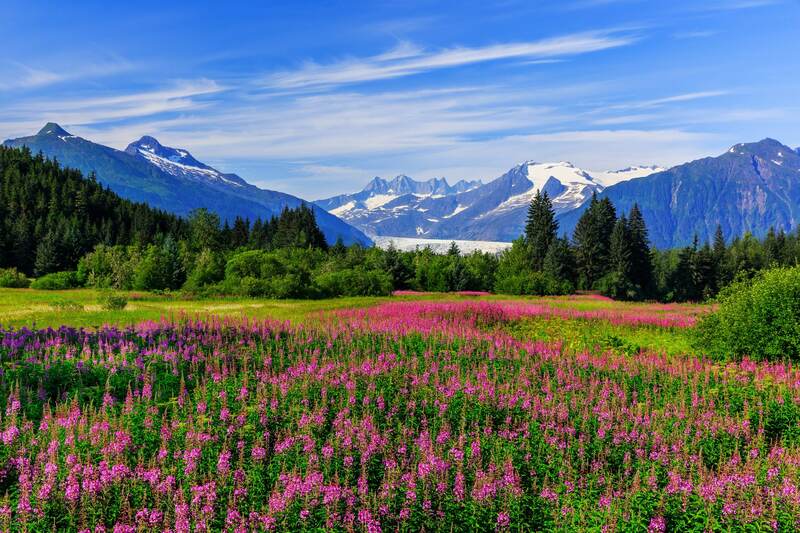 Surrounded by water, forests and mountains, Juneau is home to spectacular sites, but perhaps one of the most popular is Mendenhall Glacier. 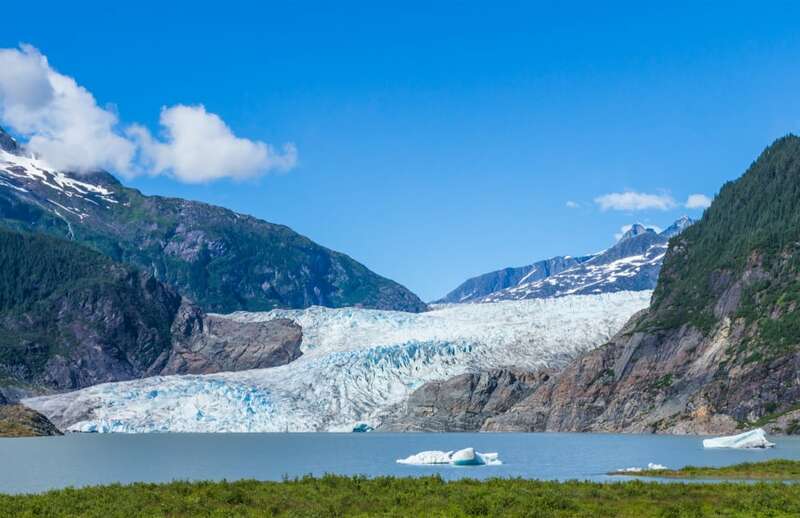 Set out on our Exclusive Mendenhall Glacier, Rainforest Garden & State Museum tour, where you’ll get to explore Tongass National Forest, the Juneau Rainforest Garden and the state-of-the-art Alaska State Museum. Or opt for the popular Dog Sledding on Mendenhall Glacier by Helicopter where you’ll fly over lush rain forest, deep blue crevasses and glacier-carved peaks before you help drive the dog sledding team or relax in the sled as you take in the awe-inspiring scenery. After departing Juneau, guests will enjoy scenic cruising thorough Frederick Sound before arriving at Wrangell, Alaska the following day. Explore Tlingit culture through authentic stories, intricately carved totem poles and dance at the Chief Shakes Tribal House — built mainly by hand and largely by women. On day 16, Maasdam cruises through Alaska’s famed Inside Passage — arguably one of the greatest cruising routes in the world — as it leaves the Last Frontier and makes way for Vancouver, B.C., Canada. Few places in the world are as culturally and geographically diverse as Vancouver, which is why we highly recommend our Northwest Exploration & Suspension Bridge tour. Enjoy a panoramic drive before arriving at Capilano Park for a treetop adventure! As you cross the famous Capilano Suspension Bridge, make sure to keep an eye out for various species of birds and animal life that live in the woods. Maasdam continues on to Victoria, British Columbia, Canada, where guests can enjoy orca whale-watching tours, partake in high tea at the Pendray Mansion or explore the beautiful Butchart Gardens. The ship will continue on the next day sailing through the narrow Alberni Inlet on its way to Port Alberni, British Columbia, Canada. Explore this beautiful, seldom-visited gem by embarking on one of the more than 100 hiking trails, or treat yourself to a delicious glass of pinot noir at a local winery. Before returning to San Francisco, Maasdam will make its final stop on this epic voyage at Astoria, Oregon. For a city of just 10,000 people there’s much to do, but our Wine & Seafood FOOD & WINE tour is an absolute must! Join Chef Chris Holen at the Baked Alaska private event annex for a seafood demonstration and wine tasting. The Baked Alaska Annex is the newest addition to Baked Alaska’s multi-concept, environment rich facilities, where food is the focus. Can’t make our May 7, 2019, departure? Maasdam features two similar 21-day sailings on May 28, 2019, and June 18, 2019. Both departures replace a call at Victoria with a call at Anchorage, Alaska where guests can hike, bike and see wildlife such as the Tony Knowles Coastal Trail or Flattop Mountain Trail inside Chugach State Park. I am sure you really meant round trip San Francisco and not San Diego. From reading reviews of guests on earlier EXC in depth cruises on Maasdam their expectations have not been set correctly by whoever they bought the cruise through. The description above helps but misses the onboard entertainment aspect a bit, which I expect be different to other HAL cruises.